A . At the Conference of the Contracting Parties of the Ramsar Convention, they report on efforts towards wetland conservation and confirm new agreed matters. 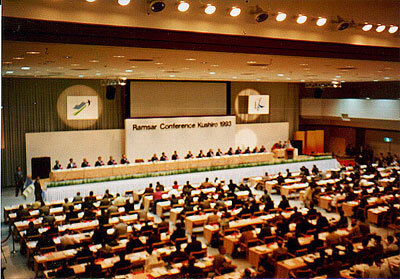 The conference of 1993 was held in Japan for the first time. 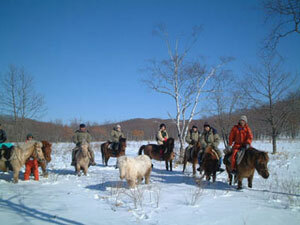 It was held in Kushiro in eastern Hokkaido, which is located near the Kushiro Wetland. 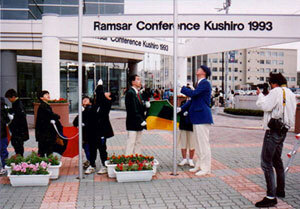 Kushiro City worked hard to prepare for this big conference, where people from all over the world gathered, in cooperation with cities and towns in the neighboring region. Thanks to the cooperation of many volunteers from elementary school students to elderly people, the conference achieved great success. The experience that many local people were involved in the conference for wetland conservation, gave them a good chance to recognize the importance of wetlands and the meaning of conservation. As opposed to today, the Kushiro Wetland was considered to be just useless land in the past. In order to maintain the enthusiasm for wetland conservation roused by the conference, it was suggested that they should establish an organization to carry activities for wetland conservation. Then, our Kushiro International Wetland Centre was opened with the participation of a lot of organizations, including organizations concerned with wetland conservation, cities and towns in the Kushiro region, and the Ministry of the Environment. We provide training programs (special study and practical work on a subject) about wetland conservation in cooperation with organizations supporting developing countries such as the Japan International Cooperation Agency (JICA) and agencies of the Untied Nations, and the Japanese Government. 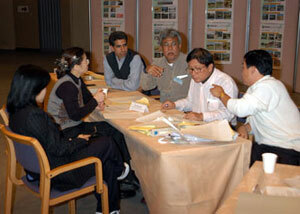 The subjects includes "Protection of Migratory Birds", "Conservation of Biodiversity" and "Wise Use of Wetlands". 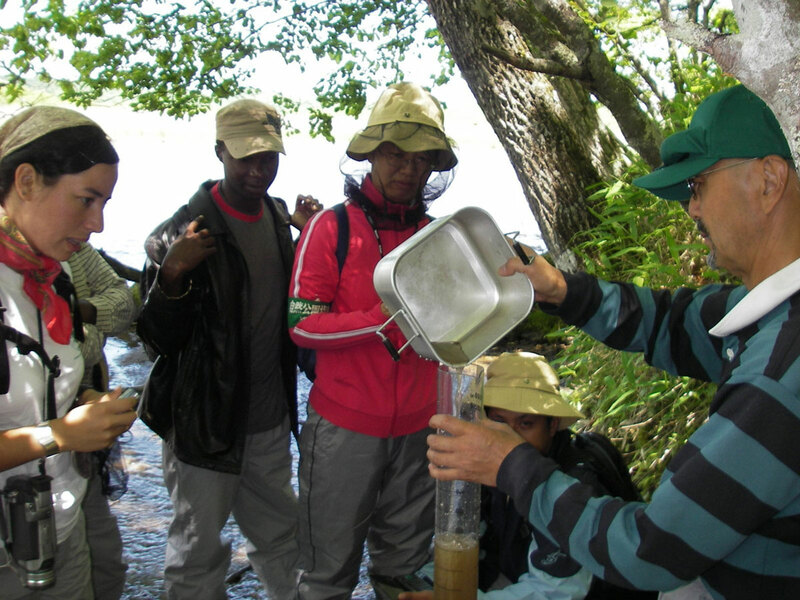 The programs provide practical training about wetlands in the Kushiro region and classes by specialists in wetland conservation on a range of such subjects. Participants make use of the knowledge and technology of wetland conservation which are acquired in the programs after they go back to their own countries. We hold conferences and meetings to exchange useful information and opinions for wetland conservation in cooperation with organizations working on conservation of wetlands and environments, universities, research institutes, and the government. They include not only conferences for specialists but also events in which anyone can learn and think about wetland conservation. 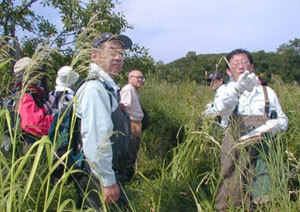 We research the natural environment of wetlands and study how to conserve wetlands. The Kushiro International Wetland Centre picks a theme for research and study every three years, and organizes a Technical Committee consisting of specialists who are involved in the theme. For example, the technical committee from 1998 to 2000, whose theme was "Environmental Education of Wetlands", was joined by instructors of elementary schools and universities, and staff from museums and visitor centers, who provide explanations and learning programs on nature in wetlands to visitors, as members of the technical committee. 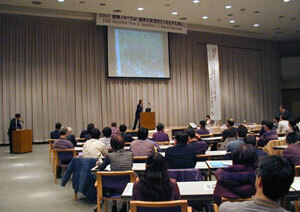 Many people make use of reports summarizing results of research and study by the technical committee. We introduce the results of activities of the Kushiro International Wetland Centre to the public through this web site and News Letters put together the activities for the year. There are also English versions in the web site and news letters, so that they are widely browsed by people in the world. 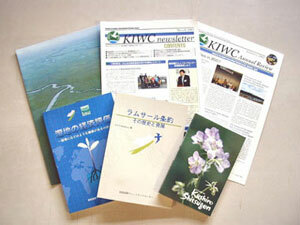 Over the Internet, we sell our guidebooks or books to introduce nature and conservation of wetlands. We also express our view on wetland conservation and offer advice on a suitable occasion, making use of the information and knowledge which we have acquired in conferences and training programs. We make an effort to create a new way for the wise use of wetlands, and to promote the idea about wise use in the world, especially in developing countries. Click here to get more information on the wise use of wetlands. We research and study, organize conferences and training programs, and exchange opinions and information, working together with other organizations which work on wetland conservation. Cooperation with many organizations and people make it possible to promote the activities for wetland conservation further. Children also participated in the conference as the volunteer supporter. 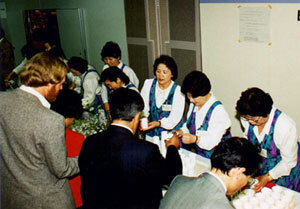 Many citizen volunteers supported the conference.